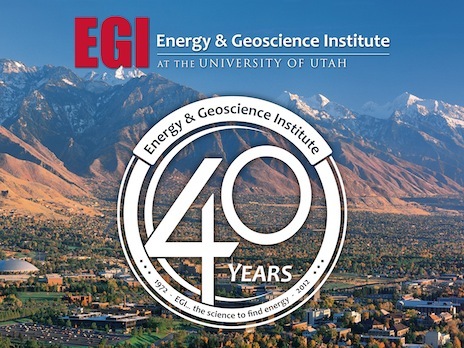 EGI, the Energy & Geoscience Institute at the University of Utah, in Salt Lake City, is celebrating 40 years of global research and scientific collaboration. Source: EGI It is the world’s largest university-based industry cost-shared upstream research programme, with more than 70 member companies from over 20 nations. EGI has over 100 scientists and staff, based in Utah, Slovakia, Canada, Australia and the UK but who hail from throughout the globe and speak a total of 24 languages. The core research areas of the organisation are hydrocarbon resources, geothermal energy and carbon science and engineering. Over the years it has produced more than 750 reports, involving research from all the continents. Current hydrocarbon projects in progress include a study of liquids from shales and an analysis of the Mesozoic Facies of Ghana. The organisation boasts one of the strongest carbon science research groups at any university, and also the largest university-based geothermal research group in the United States. EGI scientists and researchers focus both on exploration for new geothermal resources and the appropriate development and management of discovered resources. EGI also owns a huge database accessible by its Corporate Associate Members. This includes over 350,000 km of 2D seismic from 60 countries, and thousands of well locations and logs, as well as the projects and reports, delivered rapidly and securely online. Multi-partnered project, spearheaded by Total, revolutionises the future of onshore seismic acquisition in areas of complex topography and environmental sensitivity.